The new label, the magnetic field attracts musicians, DJs and ordinary listeners. Official opening of the label - 2017. However, the label's founders are no strangers to the music industry and have experience functioning quite successfully label beginning musicians. But if the label is oriented more for young musicians and give chances to many authors, the "Campo Magnetico" is focused on the extension is not quantitatively but more qualitatively. The creation of a truly serious and competitive on the world stage label. What is the "Campo Magnetico" different from hundreds and thousands of other labels? A professional approach. The creators of the label proved their professional attitude, paying royalties to its musicians and clearly fulfilling the terms of contracts for over 5 years. You can not fear that the sending of the tracks you forget or label will be abandoned. We are always in touch. It is proved by time. All releases are carefully selected and collectively, are required to attend a pre-sale serious. We do not produce raw food - we bring them up to a decent standard. Your track will sound in a new way. It is also possible to provide remixers to create different versions of your track, so that they would be interested in the people prefer different musical styles and directions. All tracks will be made a professional cover designer that is qualitatively different from the rest of your releases. All releases will be sent to various leading DJs and radio stations and radio shows for the rotations. We are promoting your tracks, each release! The label will be officially registered and located in Spain, which will allow a more successful establishment of contacts with a view to the further implementation of the tracks in the field of cinema and the other arts, where appropriate musical accompaniment, which is currently not always paid enough attention. The track should not be published in any of the labels. Considering the cost of the label on the serious, advertising, design, mailing and promotion of each of the releases, the tracks will only be accepted on exclusive rights. Tracks should be fully copyrighted. Remixes are published only with the official consent of the author. Should not be used and the elements of the foreign tracks. Vocal samples and in exceptional cases only allowed from collectors with a mark royalty free. Demo adopted in mp3 - the link to the demo (which is the best to fill in for file sharing) will be sent by e-mail. Track itself accepted in Wav format. 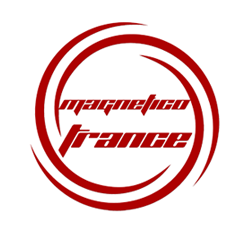 Magnetico Trance - new label, the magnetic field attracts musicians, DJs and ordinary listeners. Official opening of the label - 2017. Magnetico Trance focused on the best music quality for creation of a truly serious and competitive on the world stage label. What is the Magnetico Trance different from hundreds and thousands of other labels? A professional approach. The creators of the label proved their professional attitude. We are always in touch. It is proved by time. All releases are carefully selected. Carried out pre-sale preparation. We do not produce raw food - we bring them up to a decent standard. Your track will sound in a new way. Also we have organize and take part in music festivals and shows. And you can be part of it too! Magnetico Trance view to the further implementation of the tracks in the field of cinema, games and the other arts, where appropriate musical accompaniment, which is currently not always paid enough attention. Magnetico Nature - new label, the magnetic field attracts musicians, DJs and ordinary listeners. Official opening of the label - 2017. 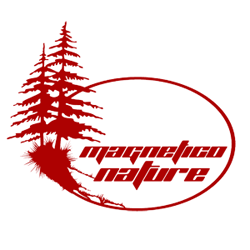 Magnetico Nature - one of the Campo Magnetico labels. Specializes in such genres as Leftfield, Ambient, Chill, Downtempo. Magnetico Nature focused on the best music quality for creation of a truly serious and competitive on the world stage label. What is the Magnetico Nature different from hundreds and thousands of other labels? Magnetico Nature view to the further implementation of the tracks in the field of cinema, games and the other arts, where appropriate musical accompaniment, which is currently not always paid enough attention. 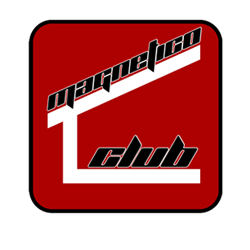 Magnetico Club - new label, the magnetic field attracts musicians, DJs and ordinary listeners. Official opening of the label - 2017. 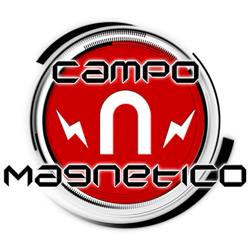 Magnetico Club - one of the Campo Magnetico labels. Specializes in such genres as Future House, Big Room, Electro, Progressive House and other style what you can hear on the world's dancefloors. Magnetico Club focused on the best music quality for creation of a truly serious and competitive on the world stage label. What is the Magnetico Club different from hundreds and thousands of other labels? Magnetico Club view to the further implementation of the tracks in the field of cinema, games and the other arts, where appropriate musical accompaniment, which is currently not always paid enough attention. Modern Magnetico - new label, the magnetic field attracts musicians, DJs and ordinary listeners. Official opening of the label - 2017. 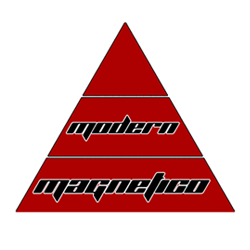 Modern Magnetico - one of the Campo Magnetico labels. Specializes in such genres as Trap, Hip-Hop, Whitch House, IDM and other modern styles. Modern Magnetico focused on the best music quality for creation of a truly serious and competitive on the world stage label. What is the Modern Magnetico different from hundreds and thousands of other labels? Modern Magnetico view to the further implementation of the tracks in the field of cinema, games and the other arts, where appropriate musical accompaniment, which is currently not always paid enough attention. 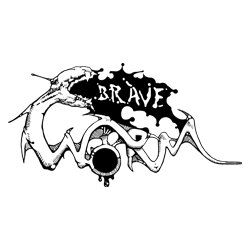 Brave Worm - new label, the magnetic field attracts musicians and ordinary listeners. Official opening of the label – January 2018. Brave Worm - one of the Campo Magnetico labels. Specializes in such genres as Blackgaze, Black Metal, Atmospheric Black Metal, Melodic Death Metal, Thrash Metal, Psychedelic Doom, Stoner, Post-Rock, Post-Black, Avant-Garde, Dark folk, Dark Ambient, Industrial, Aggrotech. Brave Worm focused on the best music quality for creation of a truly serious and competitive on the world stage label. What is the Brave Worm different from hundreds and thousands of other labels?